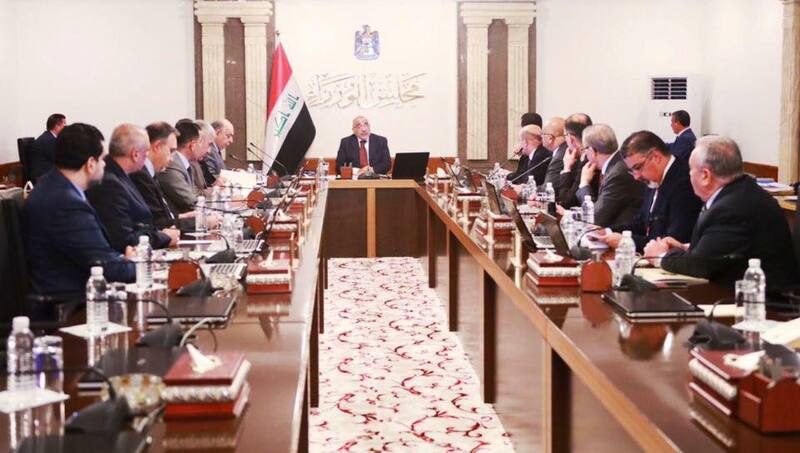 Prime Minister Abd Al-Mahdi briefed the Cabinet on his visit to Basra province and reiterated the Iraqi government determination to take all necessary measures to deliver tangible improvements to key public services for the people of Basra and other parts of Iraq. The Cabinet discussed progress in the implementation of the Iraqi government programme for 2018-2022. The Cabinet approved a compensation scheme for pensioners with disabilities. The Cabinet approved the launch of the report on Iraq’s National Action Plan for the Implementation of the United Nations Security Council Resolution 1325 on Women, Peace and Security.